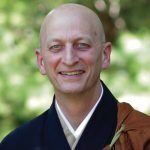 In this talk, Shugen Roshi takes up the lines central to our Ango study of Buddha ancestors: “I am like this. You are like this. All the ancestors in India were like this.” Through the lens of Master Dongshan’s Five Ranks, he speaks of the importance of practicing, actualizing and transmitting that which is always present and cannot be taught.